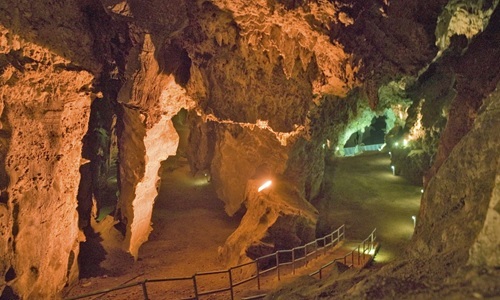 This site is made up of 36 limestone caves near Johannesburg. When exploring these caves you can find hominid fossils dating back over 3.5 million years. There are also signs that these caves used to be inhabited with stone tools discovered and the oldest controlled fire dating back over 1 million years ago. A famous find from these caves include a complete hominin skeleton believed to be between 2.5 to 3.3 million years old. 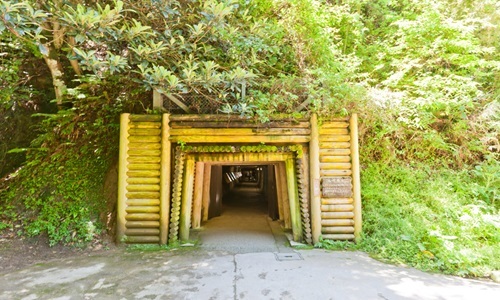 The Iwami Gizan Silver Mine was one of the world’s leading mines producing high quality silver between 1526-1923. The silver excavated was sent all over Europe and it is said that a third of silver in circulation in the 16th century was produced from this mine. The ruins sit in the mountains which rise 2000 feet into the air and visitors can also explore the nearby fortresses, shrines, port towns and coastal routes. The mines also come complete with museum, research centre and shops. 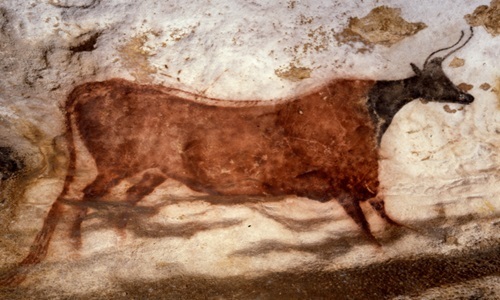 Lascaux is a group of caves in Southwest France which were decorated over 17,300 years ago with Palaeolithic cave paintings. In 1948 the caves were opened up to the public but by 1955 the carbon dioxide being exhaled by the visitors were damaging the paintings causing the caves to be closed. The art was then restored and is monitored on a daily basis. Most of the images are animals with paintings of horses, stags, cattle and bears. Malpelo Island is located 314 miles off the coast of Colombia and is surrounded by 350 hectares of sea, filled with stunning beauty and premier diving sites. 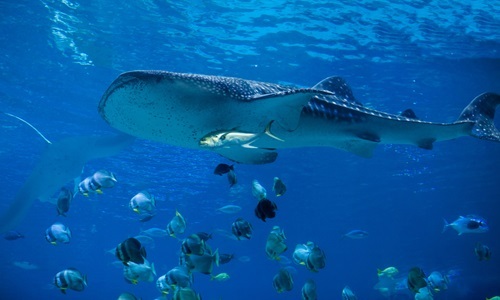 Swarms of hammerhead and silky sharks can be spotted as well as rare short-nosed ragged tooth sharks, whale sharks, creole fish, tuna and giant schools of angelfish. Fishing is prohibited around this area preserving all the marine life that live here. Visitors can take diving and sea expeditions to explore the environment. This Buddha has been carved from the cliff face where the Minjiang, Dadu and Qingyi rivers meet in southern Sichuan, China. The Buddha was constructed by a monk named Haithong in 713, his followers then came to help with its construction which they worked on and off for 90 years. Haithong thought if he placed a Buddha here it would help calm the waters of the turbulent three rivers. 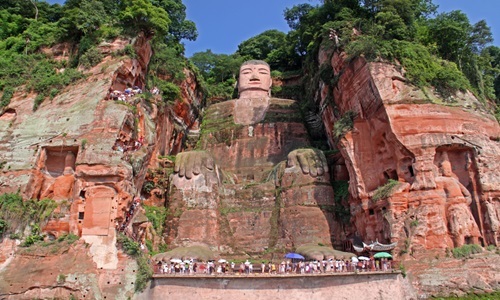 Today it remains the largest stone Buddha in the world at 71m tall and 28m wide. 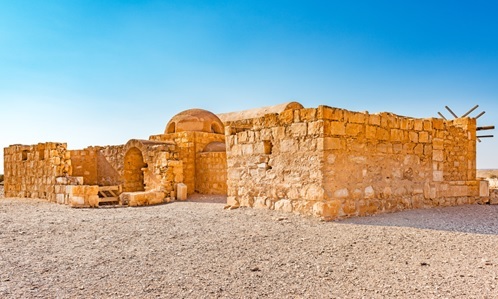 Located in the middle of the desert in modern day Jordan is this 8th century castle. A fantastic example of early Islamic architecture, this castle is thought to have been used as a holiday castle by the caliph and princess. The interiors are decorated with figurative murals that reflect the secular art of the time. The castle boasts a reception hall and bath complex containing warm and hot rooms that are decorated with extensive fresco paintings. The Alcobaça Monastery located in central Portugal was founded by King Alfonso Henriques in 1153 and took nearly 100 years to complete. 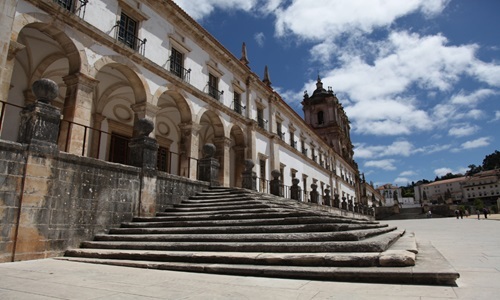 It remains today the largest church in Portugal and is one of the most important medieval monasteries in Europe. Many 13th and 14th century royals were chosen to be buried here. The tombs of Pedro the 1st and his mistress Ines de Castro are particularly intricate with some of the best examples of medieval engraving in Europe. 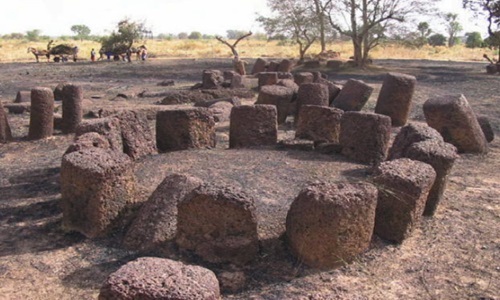 The stone circles of Senegambia are one of the largest groups of megalithic complexes in the world. The site is made up of over 1,000 monuments in a band of 100km wide along 350km of the Gambia River. All of these circles have been found near burial mounds and although items have been found dating back to the 3rd century, the purpose of the construction and the reason behind it remain unknown. Lalibela is a rural town located in the north of Ethiopia, it is known as one of the countries holiest sites and a place of pilgrimage. The 13 churches dotted around the town have all been carved completely from rock into the ground. Saint Gebre Mesqel Lalibela when he was Emperor of Ethiopia commissioned these churches to be built. The layout of the buildings are meant to be a representation of Jerusalem. 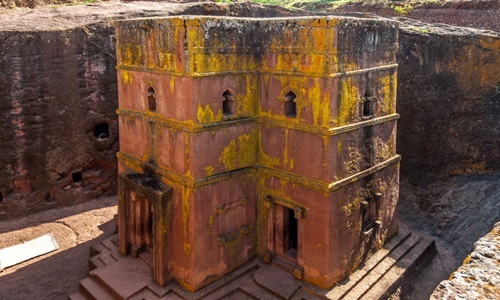 The Bete Maryam church is where King Lalibela is thought to be entombed. 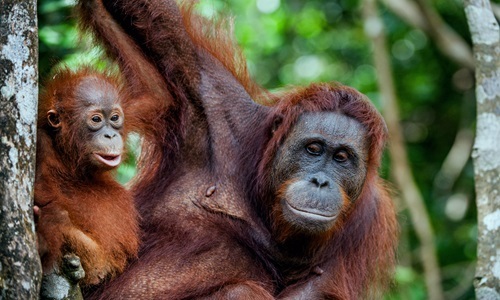 The rainforests of Sumatra are made up of three national parks all boasting different habitats allowing a wide variety of flora and fauna to grow. The parks are home to Rafflesia Arnoldi, the world’s largest flower as well as Amorphophallus Titanum, the world’s tallest flower. The parks are made up of 174 species of mammal and 360 species of bird. Spot Orangutans, Sumatran rhinoceros, Bornean clouded leopards, Asian tapirs, Sumatran elephants and the leather back turtles.